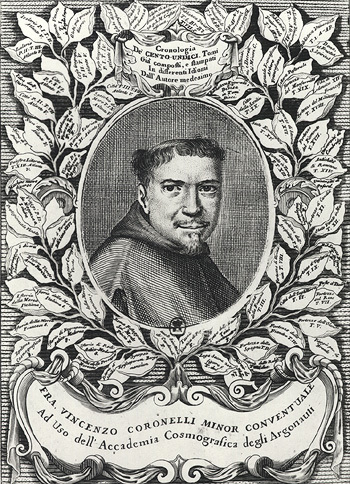 Vincenzo Coronelli, a Franciscan friar who was also a celebrated cartographer and globe maker, was born on this day in 1650 in Venice. He became famous for making finely-crafted globes of the world for the Duke of Parma and Louis XIV of France. This started a demand for globes from other aristocratic clients to adorn their libraries and some of Coronelli’s creations are still in existence today in private collections. Coronelli was the fifth child of a Venetian tailor and was accepted as a novice by the Franciscans when he was 15. 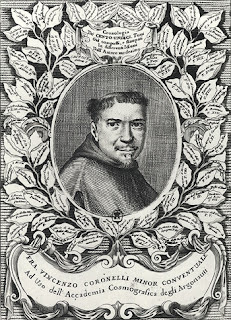 He was later sent to a college in Rome where he studied theology and astronomy. He began working as a geographer and was commissioned to produce a set of globes for Ranuccio II Farnese, Duke of Parma. Each finely crafted globe was five feet in diameter. After one of Louis XIV’s advisers saw the globes, Coronelli was invited to Paris to make a pair of globes for the French King. The large globes displayed the latest information obtained by French explorers in north America. They are now in the François-Mitterand national library in Paris. 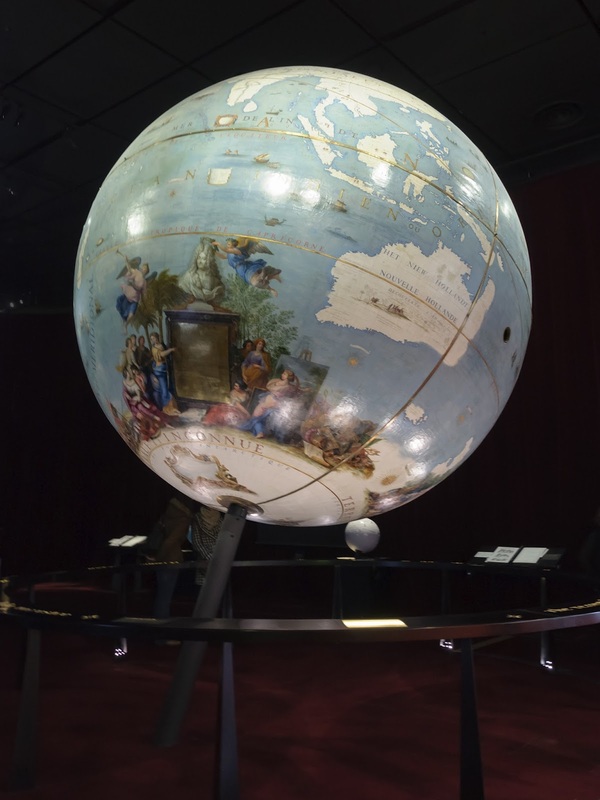 Other original globes made by Coronelli can be seen in the Biblioteca Marciana in Venice and the Angelo Mai Civic Library in Bergamo. Coronelli died at the age of 68 in Venice having created hundreds of maps and globes during his lifetime. 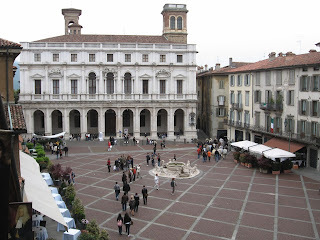 The Civic Library (Biblioteca Civica) Angelo Mai where Coronelli’s globes are displayed in the elegant entrance hall, is located in Piazza Vecchia at the centre of Bergamo’s upper town. The library was founded in 1768 and houses more than 700,000 books, original manuscripts and scrolls. The Biblioteca Marciana on the left side of the Piazzetta leading into St Mark’s Square in Venice is one of the oldest public manuscript depositories in Italy and houses one of the greatest collections of classical texts in the world as well as a pair of Coronelli’s 110-centimetre diameter globes.